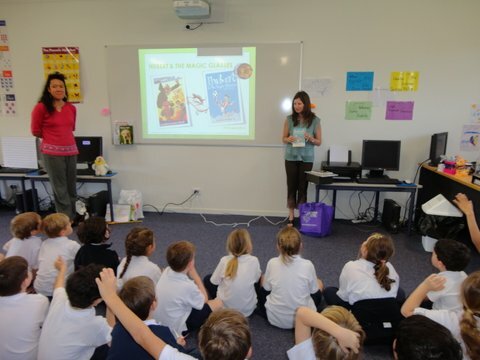 What an amazing week it’s been celebrating CBCA Book Week 2012. 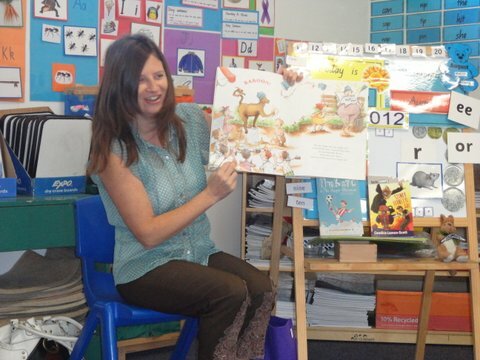 I had great fun sharing the story of my own champion, Hubert, with this year’s theme being ‘Champions Read.’ Early in the week I was lucky enough to visit the Smarter Kids pre-school children at Carrara and it was really wonderful hearing the kids talk about what they would be able to do if they had their own pair of magic glasses. 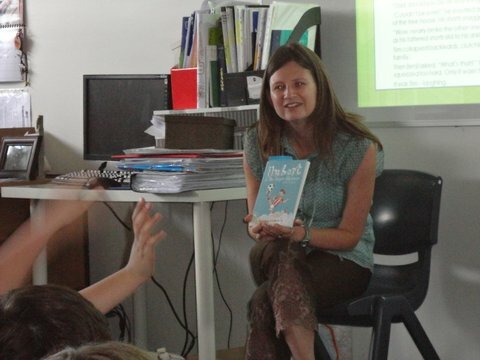 Later in the week I was fortunate enough to be joined by another children’s author, Dimity Powell, as we celebrated books and reading at Queensland Independent College in Merrimac. The students were very enthusiastic and it was especially enjoyable to see what ideas they came up with as they brainstormed their own story ideas. Book Week has culminated with the Queensland Independent College’s Book Week parade and there were some awesome costumes and great ideas as the students all represented their favourite book characters. All that’s left now is Reading Hour on Saturday and I’ll be looking forward to sitting down with my children between the hours of 6pm and 7pm to read and share books together.